"FOMO" - that fear of missing out - is a major reality in human psychology, and yes, in investor behavior. And yet, as much as investors fear missing out on some upside move, every study in the history of behavioral analysis has suggested that investors feel the pain of downside moves more than they enjoy the thrills of upside moves. And when investors feel pain, whether they ought to or not, they often react badly. My view, if devoid of behavioral realities or emotional empathy, would be that investors should not feel pain when markets correct and that they should not react to such by making a bad decision (i.e. selling at unattractive levels, outside of their own investment objectives and plans). However, I don't actually have views that are devoid of behavioral realities and emotional empathy. Those things are part of the reality in which we work and live, and frankly, are a huge part of the basis for this career. Right now there is no shortage of people who are emphasizing one of these fears over the other. "Get really, really long, and put on more risk, or you will miss out on this great acceleration we are enjoying with the Fed on the sidelines." And on the flipside: "This move up is way ahead of itself. And why are utilities doing well? This stinks - let's hide out on the sidelines for a while." And of course, one of these two positions will likely end up with some silly claim of victory or success in the months ahead. But this is the thing about asset allocation - in an environment like we are in now, or any other environment, we do not have to pick between fear of decline and fear of missing out. We manage for both possibilities by balancing our exposure to asset classes in line with an actual, real-life risk tolerance, goal profile, liquidity need, and financial objective. Whenever you find your financial focus veering towards what the market will do this week or next week, instead of the wisdom of balanced allocation decisions tied to your life, your family, and your goals, take the steps necessary to re-focus. It’s interesting to me how big of a difference $172 per share in S&P aggregate earnings may mean from $162 earnings. The latter represents the 2018 number, and if it ends up being the tally for 2019 would mean no earnings growth year-over-year. The jump from $132 to $162 last year remains the largest % jump on record. In 2016 the number was $119. So from $119 to $132 to $162 is a three year move that explains the stock market’s jump the last three years; adding a $172 number (which I believe can happen with strong business investment, and can’t happen without) would maintain an earnings growth trajectory that warrants the 16-17x multiple the market presently commands. I think earnings growth is more significant in 2019 even than normal, because of where valuations lie (meaning, margin for error is hard to come by). The Price-to-Book ratio (3.35x) is above its 2.7x average (going back to 1985). The Price-to-Sales ratio (2.1x) is above its long-term average (1.3x) as well. Now in fairness, Price-to-Earnings is a more reliable valuation metric than book value or revenues, for a number of reasons, but my point is that with the market's significant move since Christmas, valuations have now priced in the expectation of an earnings growth that if lacking may very well undermine this broad market rally. Prime Minister Theresa May has requested a "short delay" to the UK's Brexit deadline (set by a ratified article 50 declaration to be March 29). One comment comes to mind: The first time one hits the snooze button, usually isn't the last. 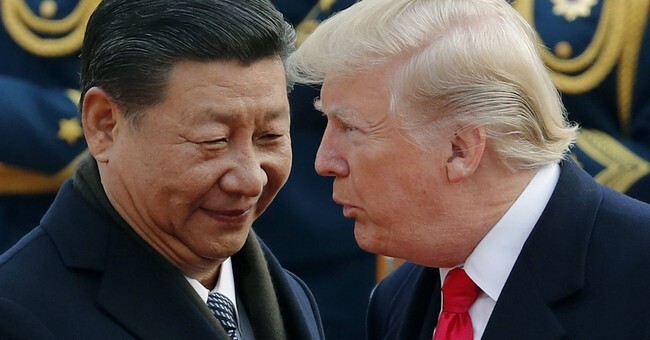 I remain of the belief that a good portion of a U.S.-China trade deal is already priced into the market, though that doesn't mean markets won't be (and shouldn't be) relieved when that deal is finally complete. Assumptions are that the deal will be finalized in the coming weeks, and I do believe there is a good chance that the final deal will be more pro-growth than many are expecting. The market understandably wants to believe that the escalation of tariffs often threatened late last year is off the table, and indications are that the market is likely to get that. But what could very well be a part of the final deal that is less baked into present market pricing is the elimination of or reduction of current tariffs, better guidelines about currency policy, increased market access in the manufacturing, financial, and energy sectors, and granular limitations to intellectual property issues in the technology sector. So bottom line - the big picture is that a good deal is likely coming; the micro picture is that in the devil that is the details there could be some nice catalysts to growth. Yes, our beloved oil and gas pipeline sector is up 15% year-to-date. And yes, oil prices are up well over 20%. But is the move higher in pipeline stocks (whether they be MLP tax structures or more traditional c-corporation structures) all about oil prices? Long-time clients and readers know that I have banged the drum for many, many years that the value of pipelines ought not be correlated to the price of the liquid running through the pipeline. My contention, dripping in logic and apparent truth, has not always felt accurate, as overall energy sector confidence and the capital formation around the pipeline industry has created economic correlations that can't be ignored. Hinds Howard at CBRE (2) proposes that the correlation between the oil price and the pipeline sector's performance is quite low when oil prices are above $50/barrel (as that represents a sort of proxy for the "breakeven" rate, and allows market forces to function with all their normal factors at play), whereas the correlation shoots higher when oil prices are below $50. This thesis makes perfect sense to me, and suggests to us that if oil prices can hold a firm footing above $50, the efforts many pipeline companies have gone to fortify their funding model will result in greater investor confidence going forward in this high-yielding sector. Why is inflation so tame? I believe I first started writing about the velocity of money over 15 years ago, as the inability of the inflationistas to understand this aspect of Irving Fisher's quantity theory of money has led to all sorts of bad predictions over the years. Effectively, the amount of turnover of money in an economy is a key variable (along with money in circulation) of the impact on the price level (i.e. inflation). It is the low velocity of money in the last 15 years that has defined the deflationary nature of the era. Now, does the chart below indicate that there may be some stabilization of money velocity (meaning, an end to its decline)? Perhaps. These are fun things to monitor for a serious economist. In the year and a half, the iPhone had existed before the financial crisis began, 17.4 million iPhones had sold. In the ten years since an additional 1.3 billion phones have sold (1). I should add while I’m on the subject of post-crisis factoids ... We were producing 5 million barrels of oil per day in the U.S. in 2008. We are producing 12.1 million barrels per day now. We frequently run a trade surplus with OPEC, and are the world’s biggest producer. I have consistently maintained that consumer spending was never lacking in the post-crisis recovery - that GDP was getting all the boost it needed from the American consumer. Various reports month-by-month of consumer spending or consumer confidence generally result in a yawn from the market because the market knows that the American consumer can only slow down spending habits in one instance - a lack of access to capital or credit. So not only has the consumer not been the force we have looked to see positive movement in economic growth (because we count on it anyway), but we don't see the consumer or American household as the vulnerability one needs to fear in the next economic downturn. The American household de-levered since the financial crisis, primarily in that there is significantly less mortgage debt relative to home equity. Household net worth has increased dramatically, but so has the debt-to-assets ratio of the American household. Granted, a lot of that is because the value of their homes and 401k's have increased, but the ratios capture a fiscally healthier consumer/individual/family than we have had for some time. There is plenty of risk in the economy around the re-levered corporate sector, as we have been discussing for well over six months (and as we see embedded in the Fed's policy shift towards more dovish monetary policy in recent months). But the consumer is not what we are fretting - or celebrating. It just is what it is. Beta O'Rourke announced he is adding his name to the mix of Democrat Presidential candidates for 2020. Former Vice President Joe Biden has increased his hinting in recent days that his entry to the race is forthcoming as well. I am planning an Advice & Insights podcast in a month or so summarizing the key economic differentiators amongst the Democratic candidates. As a general rule in tax season, the first to file are those who expect a tax refund; the last to file are those who know they need to pay (stop me if I need to repeat this profoundly complicated theory). We have spent a lot of time digesting the refund aspect of tax season in the last couple of months, but there is an interesting development in the back half of tax season that is worthy of consideration. Those expecting to pay when they file their tax return, who end up owing less than expected, are in effect receiving a tax refund of their own (not literally, but effectively). And for so many who owe it has always been the Alternative Minimum Tax (AMT) that put them over the edge in what they owed. The near-repeal of AMT (not entirely) amounts to a $90 billion tax cut in aggregate, and it is a reasonable contention that those who will benefit from this part of the tax cut do not benefit in the form of a refund, but rather in the form of "owing less than expected" - a sort of backdoor stimulus. The Chart of the Week captures the two biggest things I would say about economic life in the U.S. since President Trump was elected. One is the surge in capital expenditures and business spending when he was first elected and first began deregulation efforts and corporate tax reform. And then the other is the collapse of that capex when the trade war was launched last year.